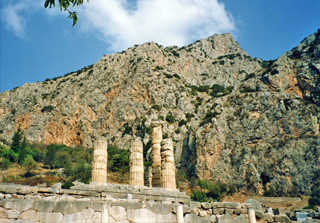 Discover the antique world of Greece, visiting the famous Canal of Corinth, the Sanctuary of Asklepios at Epidaurus where the Therapeutai worked, the legendary city of Mycenae, the Apollo Temple (site of the Oracle) at Delphi, the Pan Cave and the ancient agoras and temples of the Greek capital: Athens. We will be able to create tours around the Greek philosophers, mythology, the Hermetic Teachings and the Kybalion, and rediscover the ancient earth goddess, Gaia; tailor made tours to your wishes with tour manager and guides. Explore the ancient history of the islands of Crete and Santorini; discovering the myths and legends and Plato's story of Atlantis. It may be just a theory saying that Santorini could well have been the site of Plato's Atlantis, but for certain, the disastrous volcanic eruption (between 1650 and 1600 B.C.E.) played a major roll in the disappearence of the Minoan civilization. 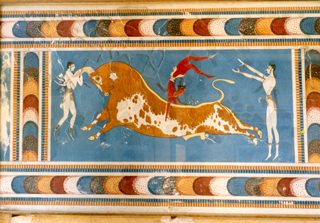 So what was this Minoan civilization, what can we find today on the islands? 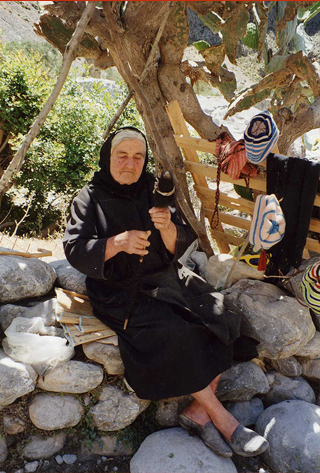 On Crete we will visit e.g. Knossos and the Samaria Gorge, as well as the archaeological museum in Heraklion; tailor made tours to your wishes with tour manager and guides. As Greece - and particularly the islands - is getting very popular again, hotels and especially the better hotel accommodation is usually already taken about a year before the tour would commence. Therefore we advise all tour leaders to start organizing your tours for next year as soon as possible, to be at least 12 months ahead of the game and secure the better hotels. Greece is your oister, so what ever island group you wish to visit; the Cyclades, the Ionian Islands, Rhodes, Corfu, Patmos or Crete, we can help you design a tour including tour manager and guides, one that will be perfect for your group. We work with a very good Greek tour operator who can also organize your inland flights and ferries. Feel free to contact us when you have any questions.